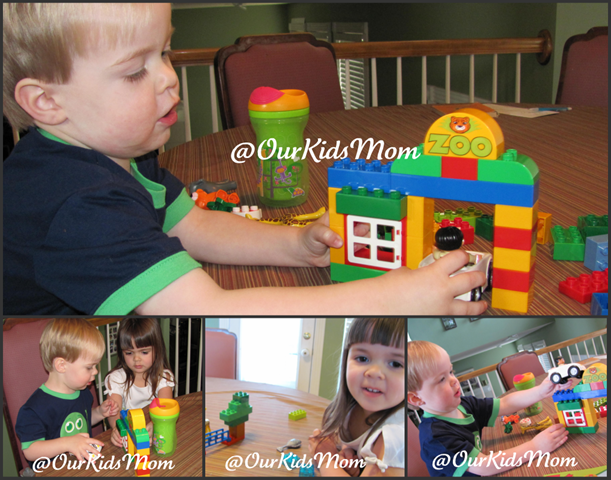 Adaptable and fun, LEGO DUPLO bricks help toddlers and preschoolers learn and play in so many different ways. DUPLO bricks contribute to every stage of learning, from identifying colors and shapes to figuring out how things work to developing role play and storytelling skills. 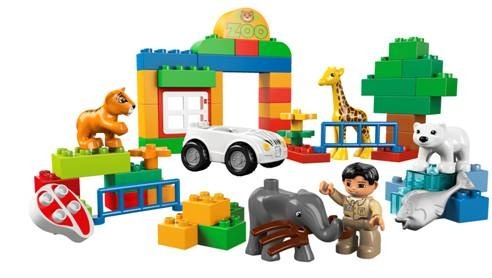 Little builders construct the zoo to provide a home for the baby elephant, tiger, polar bear and giraffe. Ethan was gifted a basic set of Duplos for Christmas. Up to this point, he hadn’t shown much interest in them. I had tried a few times to get him to build with me, but he quickly lost interest. 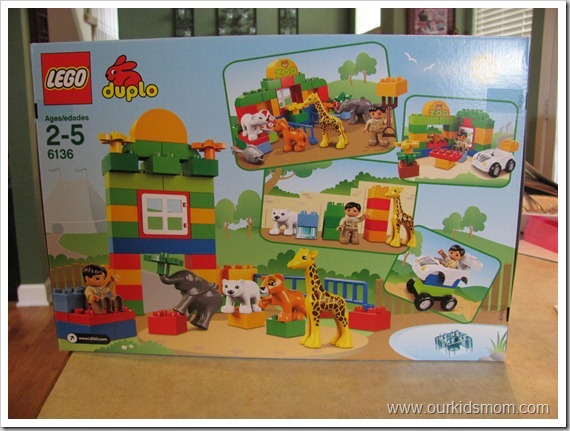 So when we were offered the Duplo Zoo set I wasn’t sure how they would react. 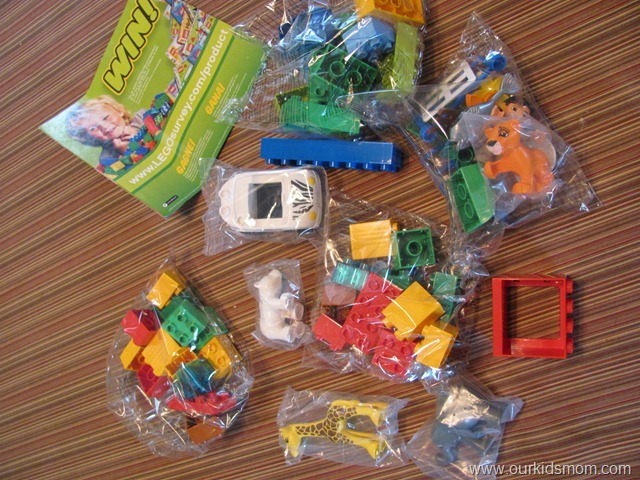 Emma and Ethan seemed excited when I showed them the box, so we tore it open and started to build. I showed Ethan how to make the wall with the working window, put the car together and have the zookeeper drive it and we set up the animals “cages”… then I stepped back and let them play on their own. I wouldn’t have believed it if I hadn’t been there. Emma and Ethan role played for nearly an hour with this set. The car was a huge hit and they liked pretending to feed the animals. Emma brought in her Dora set she reviewed earlier and Dora took a tour of the zoo. 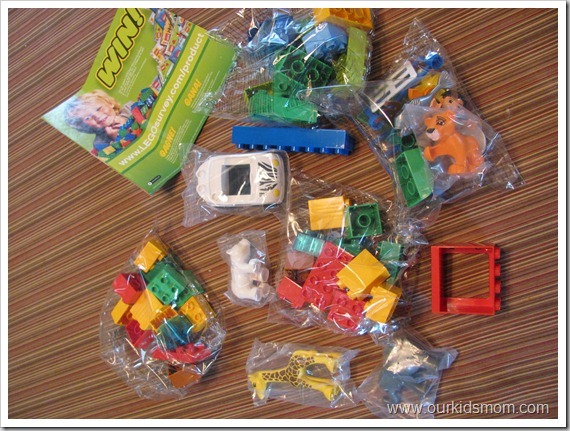 Legos / Duplos are definitely a staple toy for any child. They encourage creativity, imagination, building skills, color identification and role playing. 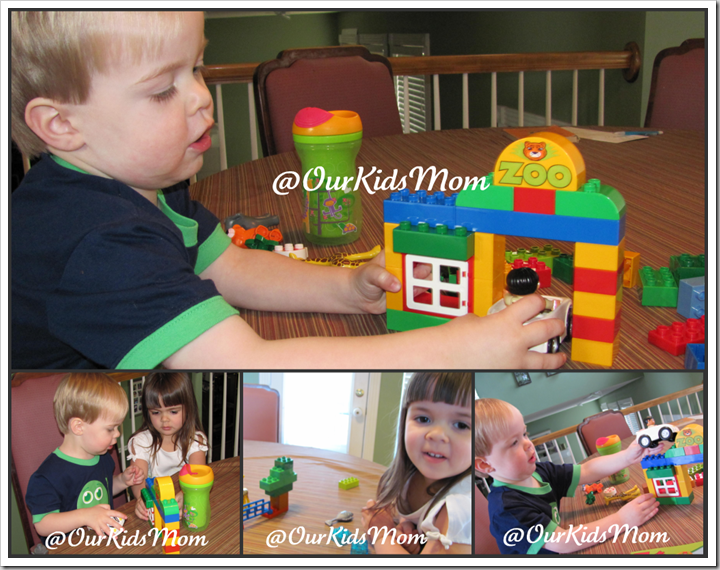 Since then, Emma and Ethan have played Legos/Duplos on a daily basis. As a matter of fact, they are building a “house” as I type! My opinion is, this is a fantastic starter set to get their imaginations going. Even better, this makes a great add on set to Ethan’s original basic set. They have mixed all the pieces and the zoo is bigger and better than ever. I foresee many years of building blocks in our future! Disclosure: I received a set for review purposes only. All opinions are 100% my own. Your experience with the product may differ from mine.